You've no doubt watched the litany of ads from last night's Super Bowl LIII and formed your own opinions. You may have also read a story or two that chronicles the brand winners and losers from the big game. For several years, social listening interface Sprinklr has collected one of the more popular, algorithmically vast roundups of brand sentiment around the Super Bowl, pulling from Twitter, Instagram public hashtags, Reddit, YouTube and Tumblr to provide data on what's trending in an event called Brand Bowl. But Twitter's marketing department got in on the fun this year, too, launching a hashtag—#BrandBowl53—and announcing the commercials that garnerned the most engagement on its platform early Monday. The results of this case study demonstrate many different paths to success on the platform. Here are the grand prize winners of #BrandBowl53, and what those campaigns can teach communicators. Twitter gave Planters brand peanuts its #MVP award for launching a sweepstakes campaign that gave personalized prizes to Twitter users who engaged with the brand during the game, chief among them a $10,000 cash prize in a Planters can. Continuing conversation throughout the game let Planters use the game time as an unofficial roundtable with those who opted in to engage, demonstrating a hybrid of audience incentives, social listening and good old fashioned brand voice. This sort of co-branded collaboration was something of a trend, too: there was also co-branded ad shared by Taco Bell and T-Mobile, along with a Stella Artiois ad that gained a ton of traction for featuring Jeff Bridge's "The Dude" character from The Coen Bro's 1998 cult classic, "The Big Lebowski." The takeaway here seems clear: when the cost of advertising for an event is at a record high, partnering with a brand that shares your values or audience is not only a smart way to double your exposure—it's economically sound. Twitter's #Quarterback award, meanwhile, went to the brand that garnered the most retweets of a single tweet during the game. The new t.v. spot for "Avengers: Endgame" won this prize, which is no surprise given Disney's secretive approach to marketing the film. With only a teaser trailer out prior, this spot shows how great withholding details can be from your audience when done right. There's an immense level of trust involved when teasing a bigger story, though, as the audience needs to believe in the brand (or franchise, in this case) enough to trust that there's some payoff for them at the end. "Avengers: Endgame" will tie up a whole decade of films in the Marvel Cinematic Universe, and as such, this ad won primarily on the level of buzz around the film's release. Twitter awarded Frank's Red Hot hot sauce with its #Interception prize for being the brand that drove the highest percentage of conversation without a national t.v. spot. 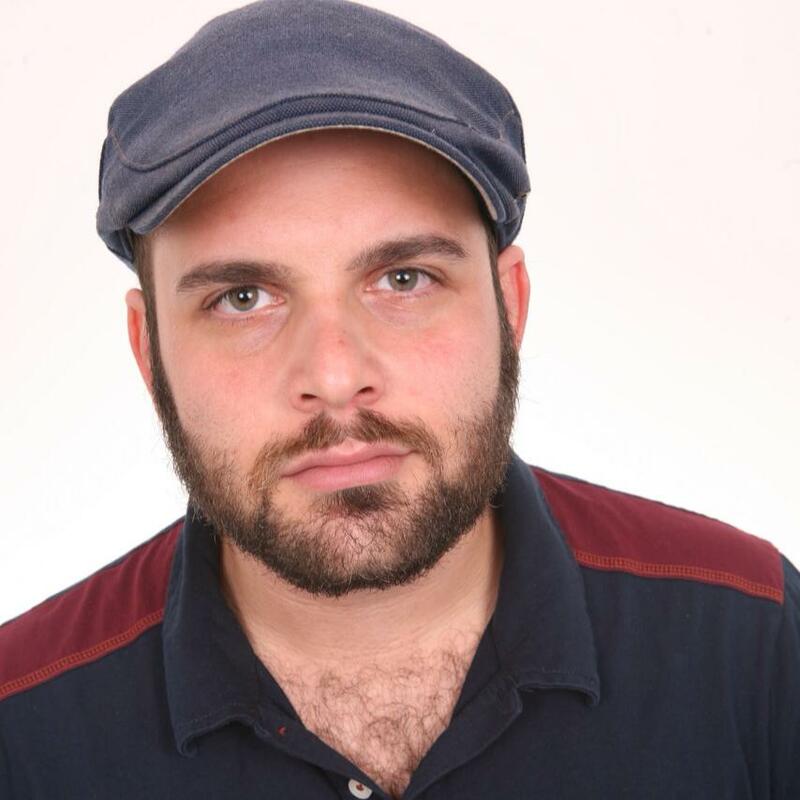 As the award name implies, the hot sauce brand launched a contest urging its fans to promote the fact that hot sauce can go on anything by watching other brands' ads and tweeting the chili pepper emoji, an emoji related to the ad's category and the hashtag #FranksSweepstakes during the commercial break when the ad aired. The tweets were then entered into a drawing for a variety of prizes corresponding to each respective ad: a Kia Soul for an auto ad, a trip to Mexico for an 'Avocados from Mexico' ad and a sponsor-selected Kegerator during a beer ad. Other notable examples of 'adception' include former NFL player Vince Wolfork wearing a t-shirt with "Versace" scribbled on it in magic marker and Pampers using parents John Legend and Chrissy Teigan to promote its diapers during the game, solely on socials. Knowing that many more eyes would be turned to Twitter, they seized on the moment without having to pay CBS a dime. 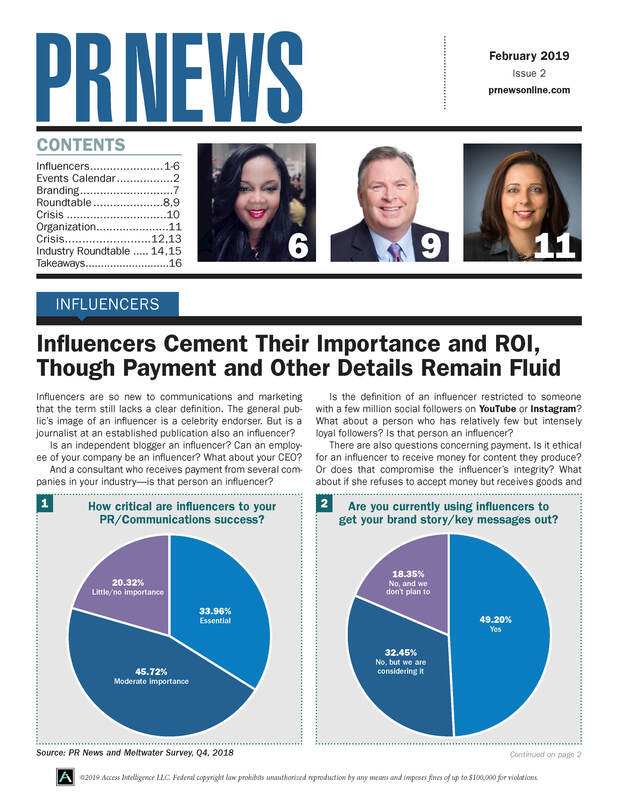 With all of these interceptions lies a PR lesson about the power of well-timed social messaging: learn the best time to run your campaign and capitalize on the news value of prominence. Pampers knew that it had a captive audience on Twitter, and user engagement on the platform increases by about 20% during the Super Bowl , making the launch of the campaign tantamount to general best posting practices on a much, much larger scale. 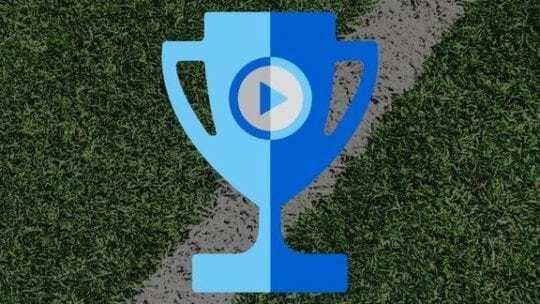 The last grand prize winner, Verizon, earned Twitter's #VideoReplay prize for driving the most video views on a single Tweet starting at 12:00a on January 28 through the final whistle. The tweet in question, below, promised that Verizon would donate a dollar for every retweet, up to $1.5 mil., to Gary Sinese's fund for first responders. No cutting-edge tricks or cynical opportunism here, just good, old-fashioned CSR. 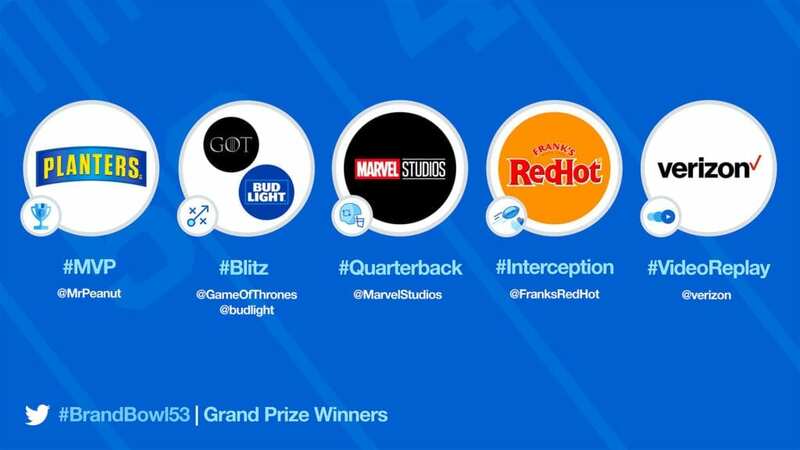 Check out the other winners of Twitter's #BrandBowl53 here.